CATCH A RIDE – LET’S ROLL! April 1-May31st choose a SMARTER way to Commute to work (bicycle, carpool, vanpool, ferry, transit, or walk) a minimum of EIGHT times – PLEDGE NOW & WIN! Earn a $40 incentive, Weekly raffles, Grand Prize – iPad! Nominations for the Bike Commuter of the Year are due Monday, April 22. Do you know someone in your community who is committed to making every day a “Bike to Work Day”? Does this person epitomize and actualize the health, environmental, social and economic benefits of bicycling? The Bike Commuter of the Year inspires merely by telling others about their commute, offering encouraging words and advice to novice riders. Make your nomination by visiting http://www.youcanbikethere.com/bcoy. May 9 is BIKE TO WORK DAY! 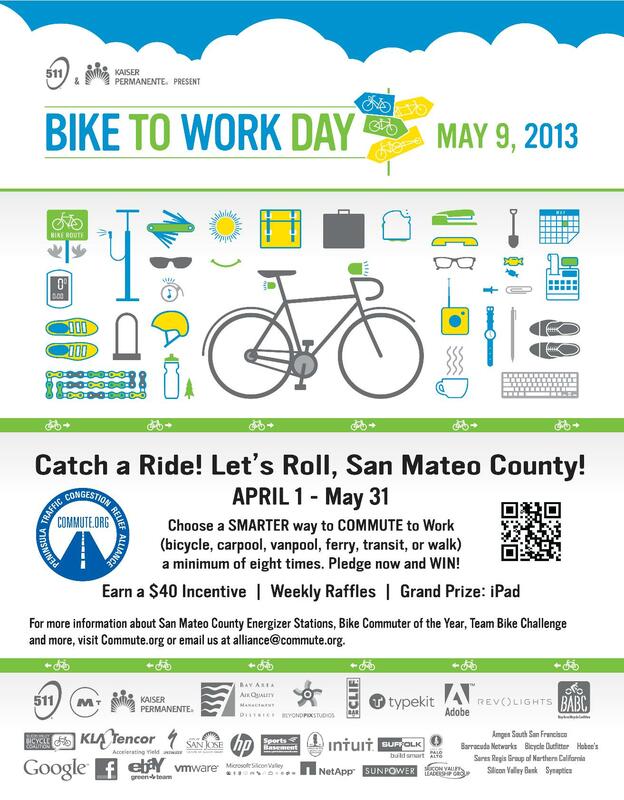 On Bike to Work Day, Energizer Stations will be set up throughout the Bay Area to encourage bicyclists to ride. An Energizer Station is a small booth set up along the roadway of major bicycle routes. Most Energizer Stations provide refreshments and other goodies to encourage cyclists biking to work that day. Bicyclists who stop by these stations can receive a free re-usable Bike to Work Day bag full of bike related materials. Help spread the word and let’s make this the year we have the most participants ever! Over 200 Energizer Stations will be located in various areas in all nine Bay Area counties, providing beverages, snacks and encouragement to bicyclists on May 9th. Over 30 of these Energizer Stations will be located here, in San Mateo County. 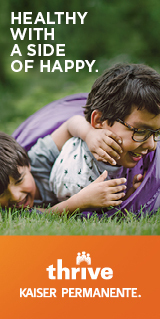 For a map of the Energizer Stations lcoated in San Mateo County, click here. For a map of Energizer Stations located in other counties, click here.